Nationwide, demand is up for LEED professionals. Increasingly jobs in the demolition industry require contractors to be LEED certified. LEED Certification is the most widely accepted system for verifying environmentally friendly construction. To be certified, a project must earn a certain number of points across different categories, such as Building Design and Construction. A recent study of US job postings by the US Green Building Council found at 46% increase in positions requiring LEED certification. 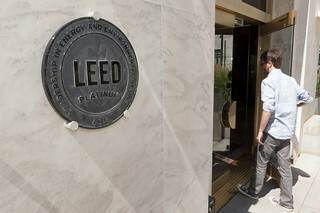 LEED education is increasingly valued in demolition services and other fields, such as architecture, interior design, construction management, and civil engineering. By passing exams, individuals can earn a LEED Green Associate credential. On the organizational side of things, the Green Building Certification Institute recently created a new designation, LEED Proven Provider. This moniker allows streamlined LEED review for firms with demonstrated expertise in LEED work. To qualify for LEED Proven Provider status, organizations must show their experience in project administration; at least six certified projects in a single rating system family are required. Demolition clients should know about LEED-friendly demolition, which can helps buildings earn points toward Certified, Silver, Gold, or Platinum LEED certifications. Platinum designation is the hardest to earn; it requires contractors to earn 80 out of a possible 100 points. Demolition services can help their clients earn LEED points by salvaging materials from demolished structures. For instance, Elder Demolition recovers and recycles scrap metal, concrete, and other materials from our demolition projects. We can turn demolished concrete chunks into pipe bed filler, for instance. Demolition activities can work toward LEED points for reusing materials from the construction site, for building with recycled building materials, and for selecting to use local materials. Demolition firms can also help LEED projects earn points for diverting 50% or 75% of construction and debris materials from landfills. At Elder Demolition, our Portland demolition work can help projects earn LEED points long before the first brick is laid. Demolition services are included in LEED standards, and green approaches can earn LEED points. Contact us today to learn more about how demolition methods can count toward LEED certification. This entry was posted in Green Demolition and tagged demolition services, Portland demolition. Bookmark the permalink.